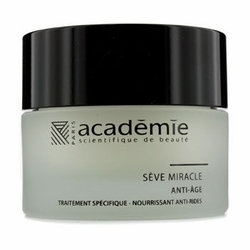 Seve Miracle Cream gives a filmogen effect to tighten the skin grain therby defying the appearance of wrinkles. It softens skin by replenishing skin moisture lost to aging and unprotected exposure to the elements. Feed your skin - See it glow and young again, by miracle. Start using it tonight and simply watch a miracle begin. Stock up - Do not run out again! - Apply with light massage on a clean skin.